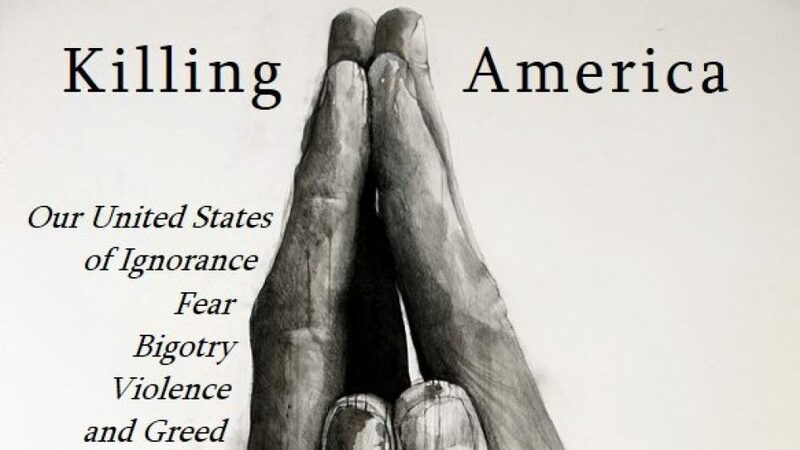 Killing America: Our United States of Ignorance, Fear, Bigotry, Violence and Greed is Reggie Marra’s fourth book of poems. Also available on Kindle. On August 5, 2018 we began raising money in order to send a copy of Killing America to each occupant of the U.S. Senate, House of Representatives, Supreme Court, and White House. We kept the donations open through August 20 and raised $3,635.00. The 542 books were mailed on September 4, 2018. The press release is available here. As of March 19, 2019 Senator Orrin Hatch, Associate Justice Elena Kagan, and Representative Rosa DeLauro have written in acknowledgment of having received the book. Only DeLauro addresses the book’s contents and message. You can read their responses below. Thanks to the 31 poets, educators, retired military officers, attorneys, social workers, artists, entrepreneurs, business executives, accountants, psychologists, nurses, coaches and law enforcement officers who made a total of 36 donations! To learn more about our initiative inviting students, educators (and anyone else) to write and send their poems to their respective politicians, please visit https://killing-america.com/poems-from-students-to-politicians/ or click on the tab above. As with This Open Eye: Seeing What We Do (2006), Marra unflinchingly sees, writes and shares with the reader images of his country’s culture of violence, as it manifests at home and abroad. His poems both grieve slaughtered school children, unarmed black men, ambushed cops, church-, concert- and movie-goers, military veterans and victims of American foreign policy violence in the Middle East, and indict the leaders who refuse to act amid, or who implicitly condone, the slaughter. Used with Ray DiCapua’s permission. Excerpts began appearing on this site in May 2018, and continued through the book’s September 2018 publication. Download a book & author info PDF, including table of contents, here. Learn how to get a volume discount here or click on the link above.